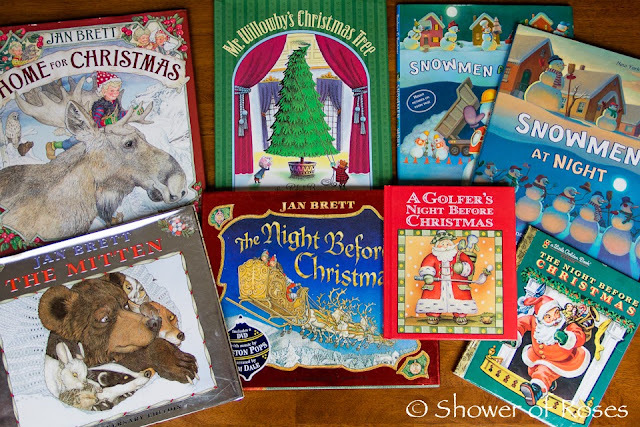 Note: Our updated Advent & Christmas Picture Book Collection can be found here. We love books. We love Advent and Christmas. 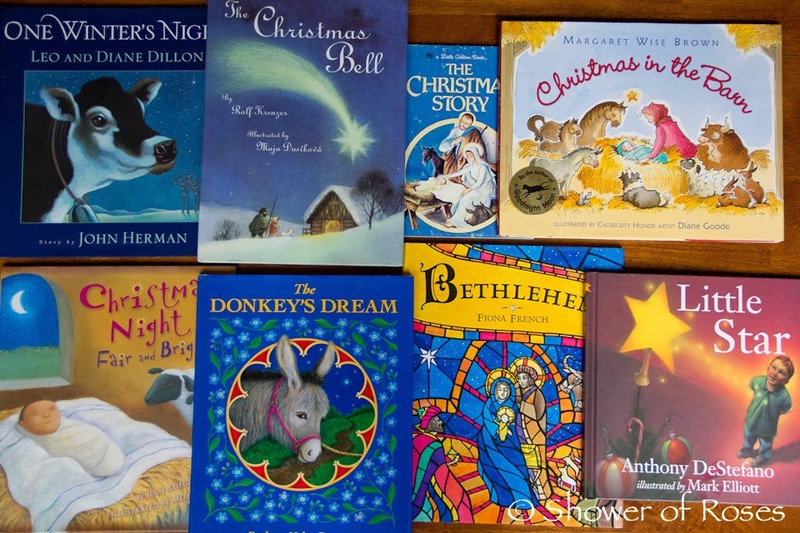 We love books about Advent and Christmas! We started our Christmas book collection in 2000, following the birth of our oldest son, and we still love adding to it each year. 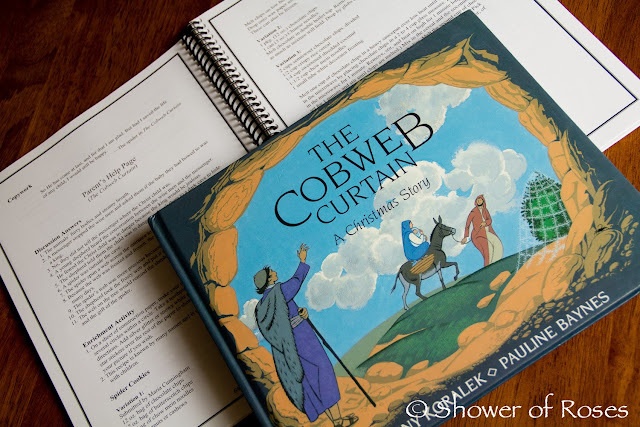 In 2007, following the release of Christmas Mosaic: An Illustrated Book Study for Children, we started reading a picture book as a family each day during Advent, incorporating some of Cay's wonderful study guides and activities. That same year our public libraries were all closed due to a lack of funding (and stayed closed for a few years) so I was very thankful to have her booklists to use as a guide when searching for new books to purchase for my children. Four years ago I started wrapping our books for Advent with purple and pink wrapping paper, coordinating with the liturgical color for each week. I wondered at first if it would be worth the effort (and all that paper!) but this is now one of my children's favorite Advent traditions. They love taking turns unwrapping the books as well as the special time we spend together reading. (In the past I have also wrapped twelve books in gold for the twelve days of Christmas, but I have decided not to do that this year. The past couple years it has been so busy during those days following Christmas that there isn't much extra time for reading.) 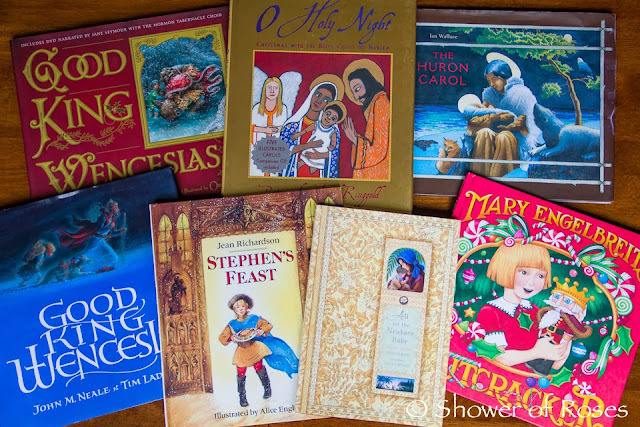 Some years I have incorporate books that tie in to the various feast days that will be celebrated and last year I had the children each choose four of their favorites to be wrapped. With Advent beginning in just two weeks I spent some time this past week sorting through all our Christmas books. I filled a bag with the books to donate (ones we don't care for or no longer want to keep for various reasons), pulled aside all the books we will read this Advent, and filled a couple of additional baskets with the rest of our collection. 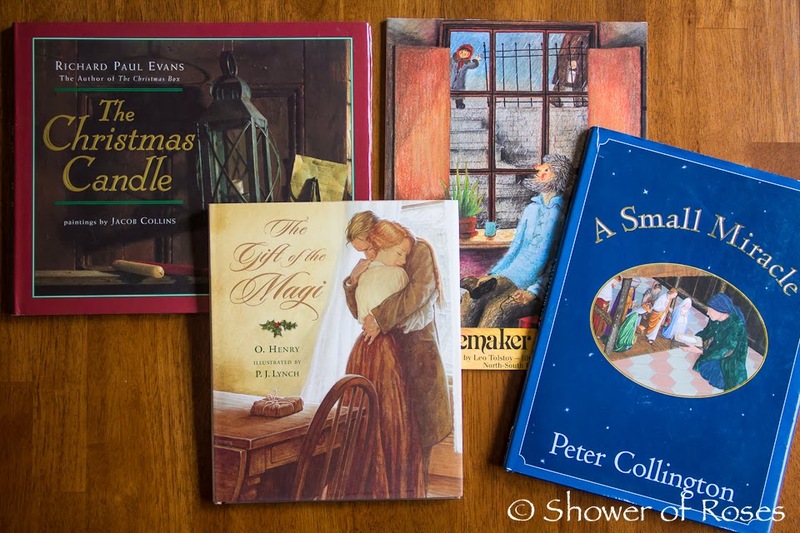 This year I am going back to the original inspiration for our book a day and wrapping up books from the suggestions in Christmas Mosaic based on the four different themes: Decoration/Preparation, Giving/St. Nicholas, Family and Nativity/Angels/Epiphany. Note: This year almost all the books listed for Advent are featured with study guides in Christmas Mosaic: An Illustrated Book Study for Advent and Christmas unless otherwise noted. We will spend a little time each afternoon reading and discussing the books using the study guides and also incorporating extra activities when we have time! We will also decorate for Advent with Advent Calendars, Advent Wreath, Jesse Tree, etc... Set out Manger for Baby Jesus and all of our Christmas Books. Bless the Advent Wreath during nighttime prayers. Choose names for Christkindl! I also plan to surprise the children with the Holy Heroes New Jesse Tree DVD to go along with our new Jesse Tree Swap Ornaments! December 6 (Feast of St. Nicholas) ~ Santa's Favorite Story * This is included during week two, but since the feast of St. Nicholas is earlier in Advent this year I moved this book to week one. 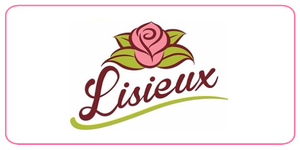 * Rose/Pink Themed Birthday Party for Rose's 4th Birthday! We will also read Bambinelli Sunday! *Deer/Woodland Themed Birthday Party for Bud's 2nd Birthday! *O Dayspring... Hot Cocoa in thermoses and drive around to see Christmas lights after dinner! *These will be given to the children on Christmas. I hope to have some favorites after this year. 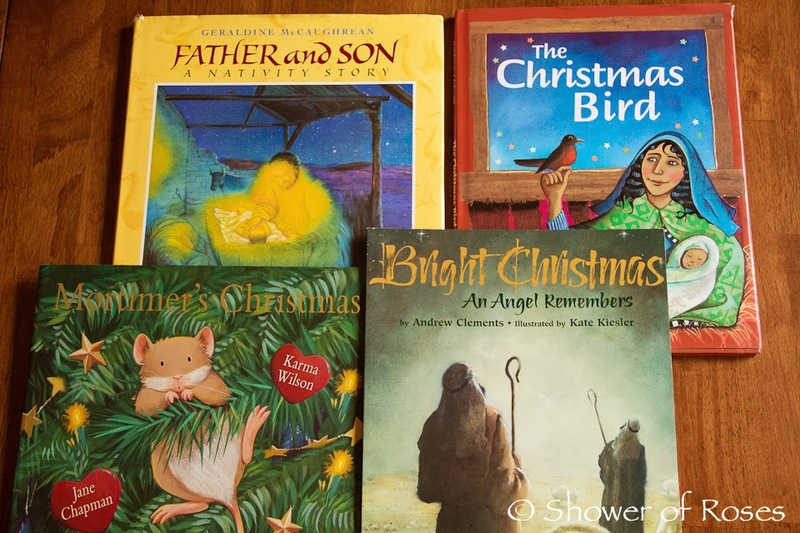 This is our 1st year really reading chirstmas/advent books. Thanks to you I have a list going. 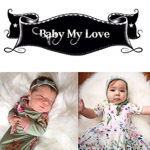 Your blog has been such a blessing for my family. I love The Crippled Lamb by Max Lucado. I have so many but one of my most recent favorites is Mortimer's Christmas Manager. It is such a sweet little story and my little ones love it. I think The Crippled Lamb might be my favorite as well! The Little Drummer Boy is a great one! I thought we had this version of The Little Drummer Boy, but apparently it must have just been from the library. I will have to remember that for St. Nicholas day next year! Is that the book you have? I love Mr. Willowby's Christmas Tree! How do you keep your books in such good shape???? Also, these books are only out for a couple months each year. The rest of the time they are stored on two shelves. The books in the bedrooms have a lot more wear and tear. We read 'God Gave Us Christmas' nearly every night of Advent ever since my oldest was a toddler. I have always loved the Gift of the Magi. I would love to add this one to our collection! Thank you to Cay Gibson for being so generous. I just LOVE ALLLLLL the book suggestions and groupings, thank you for helping the rest of us to live out our faith so beautifully with our families. Marta and the Manager Straw has become a favorite for us. Love books that help us celebrate being Polish. We added this book to our collection last year and it was an instant favorite! Wow, your list is incredible! Thank you so much for sharing it! I do hope to add to our Christmas book collection list this year. Last year we added A Special Place for Santa to our collection, our whole family enjoyed it. One of our favorites is the legend of the pointsettia! Santa's favorite story is a good one. My kids love Santa's Favorite Story. Funny story... When I first ordered it I was surprised that it was so tiny! Our original copy (which we still have but it isn't pictured in this post - you can see it here) is only about 4 inches square! I finally purchased the full sized version since my children enjoy it so much. Your list is amazing!! We tend to read the Night Before Christmas way too much and we try to read "The Jesse Tree" but I don't have it out yet to remember who it is by. "Always room for a little one" is well read too. The Night Before Christmas is a fun book to read! We enjoy it too... I've been considering this version of The Jesse Tree for years and have never purchased a copy. Red Boots for Christmas, although not Catholic, is a great Christmas story with a wonderful meaning behind it. My kids always enjoy Jotham's Journey. 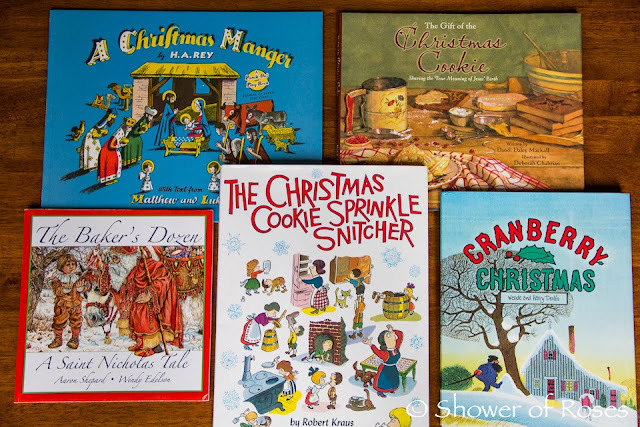 We have so many Christmas books that we love. 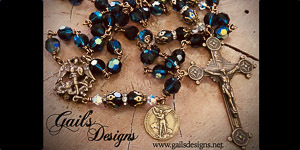 One of my favorites is Saint Francis Celebrates Christmas. Ooh! I have actually been considering purchasing Saint Francis Celebrates Christmas or Saint Francis and the Nativity for a couple years now... I'll have to see if our library has copies that we can check out to read! I love, love, love this post! Thank you so much Jessica! We are just starting to build our collection with our little one and your lists are so much appreciated. Thank you, thank you, thank you! What a lovely collection of books you have for your thoughtful plan for celebrating His birth! My favorite is The Gift of the Maji. Blessings to you and your family! I love your book lists. I only have 5 or 6 of these so I need to look into some! I'd also love Catholic Mosaic! Thanks! Donkey's Dream and The Last Straw are two of our favorites. What a great list! This post makes my jaw drop. Amazing collection. I've always liked The Christmas Barn by C. L. Davis and Raul Colon. My mother in law has borrowed it from us twice! Its a great book! I just looked up The Christmas Barn and ordered a copy! It sounds like one that we would really enjoy and I was able to get a copy in "very good" condition for the cost of shipping. Thank you for sharing! Thank you for putting this together every year! 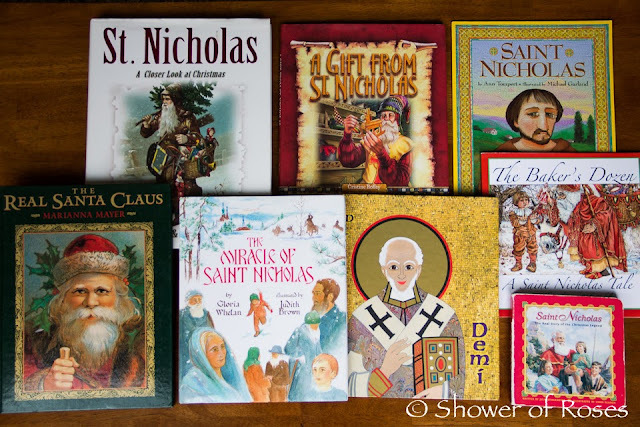 I look forward to these posts every year as we have started our own family tradition of adding to our Advent/Christmas book collection on the feast of St. Nicholas. I think my favorite Christmas read with the kids is The Christmas Miracle of Jonathan Toomey. 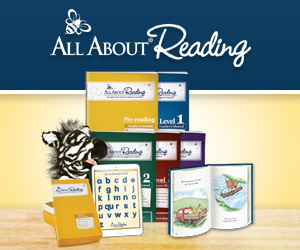 I would love to read all of the books in your "Board Books for our Littlest Ones" list. My son is 17 months and I think that would be a great start to our Christmas book collection! My family loves so many of these titles. Last year, I purchased the Miracle of Saint Nicholas, which my youngest son loved. We also enjoy the Gift of the Magi with illustrations by PJ Lynch. Another author/artist that we love is Tomie dePaola. 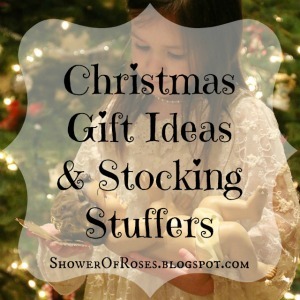 Love the idea of wrapping them! Wow lucky children you have to be able to read all these at Christmas. 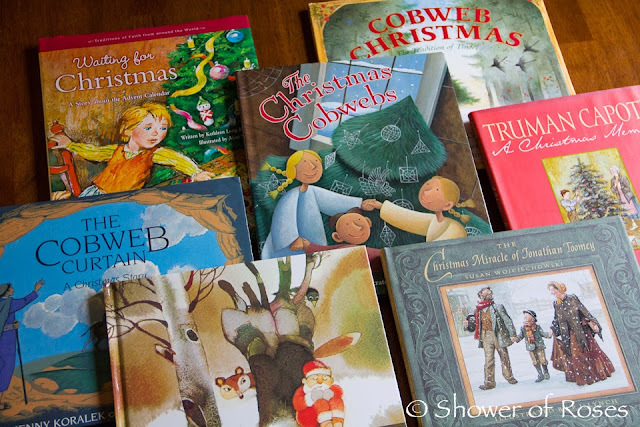 Your blog is where I come to when I am choosing our new Christmas books. Thank you! 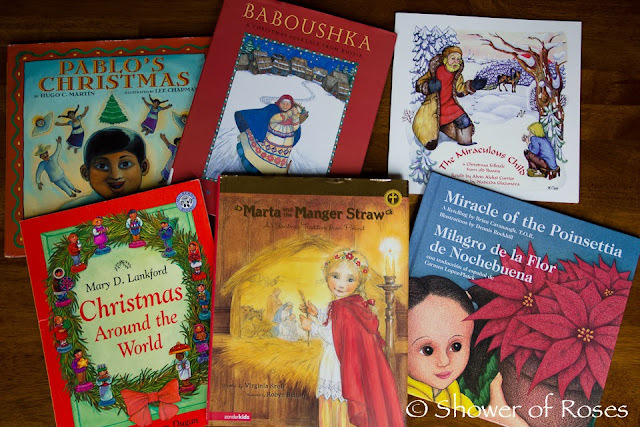 My kids get so excited to see the basket of Advent books each year, I can't wait to add a few new ones on St Nicholas day! The Lion in the Box *A Christmas Story* by Marguerite De Angeli Was a book I remembered from my childhood. I Remembered the story , but not the title or the Author for many years. As an adult I did book searches when I had my own children but could never find it. Finally , Last year, I stumbled upon it and got a used Library copy from Amazon. It is as wonderful as I remember!!! I can't thank you enough for your posts!! This Year of Faith we have truly grown in our faith, and in the past we have wrapped Christmas books, but as I was going through them I I realized they are 75% secular books! Can't wait for our collection to grow! 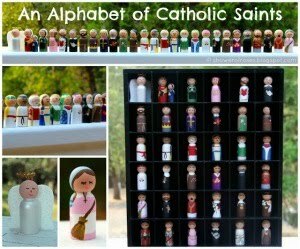 I have already purchased a few for St. Nicholas' feast day, Our Lady of Guadalupe, and St. Lucy. Thanks so much for what you do! You are truly a blessing! What beautiful book. You are very blessed. Thank you for this wonderful post Jessica! 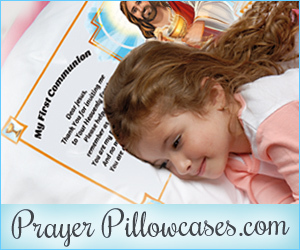 The Miraculous Child is one favorite - so many to choose from!! I can't get through "An Orange for Frankie" (which I bought for my son per your recommendation a few years ago) without a tear coming to my eyes! So that's definitely one of my favorites, but there are so many good ones. Thanks for putting together the list, it is so helpful. 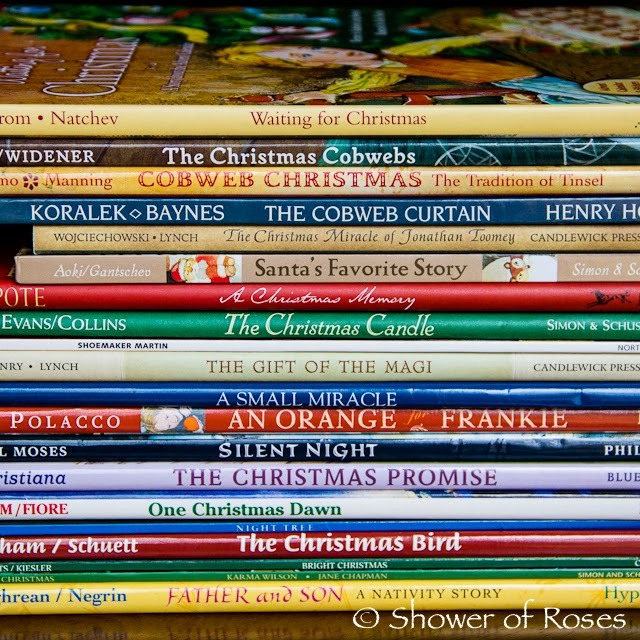 I just realized that I still need books for 2 of my kids for St. Nicholas day so I need to get ordering soon! How very generous! If I win, I'll give the signed copy to my daughter, as I already have my own. I realize this will vary depending on the size of each book, but about how many rolls does it take for you to wrap 25 books? We've never assigned a particular book to each day before, and I'm thinking my kids would really enjoy the anticipation of opening one every day. But I have no idea how much wrapping paper I should buy! Thanks! This year I was able to wrap them all with 2 rolls of purple and 1 roll of pink (20 sq ft each) - with some of each color left over. I think some years, depending on the size of the books I've needed one roll per week, especially if Advent begins in November and is a little longer, but this year some of the books are smaller in size and Advent doesn't begin until Dec 1st. Makes me so happy to be a Catholic. Beautiful booklists. Thank you for sharing! I promised myself that I wouldn't buy any new books to add to our collection this year, but after looking at your list, there are a few titles that I just might have to add! Thanks for sharing! The Crippled Lamb is our favorite! Thanks for this post I know it was a lot of work but definitely appreciated! Thank you so much for compiling these book lists! I know they must take a lot of effort, but I am so thankful that you share them. 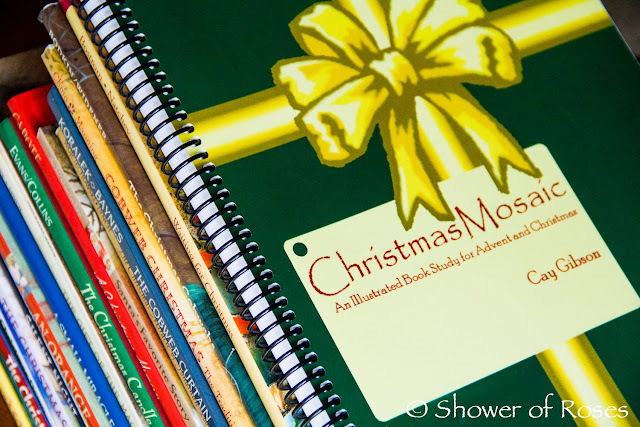 I would love a copy of Christmas Mosaic to help me build our library. May God bless you! One of our favorites is the Miracle of Jonathan Toomey. You have such a great collection . Thanks for sharing it. Thank you for all of the links! 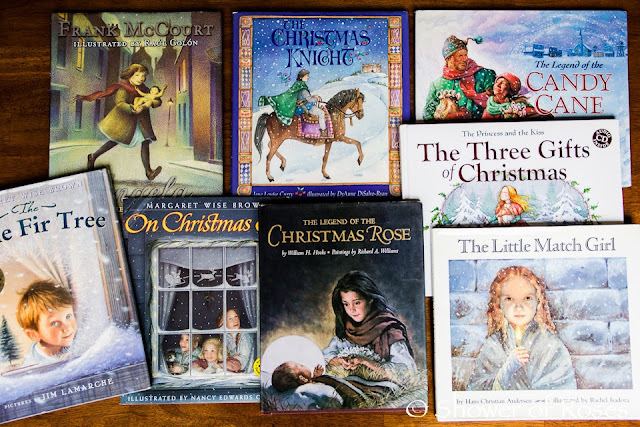 This may be a tough request, but I thought you might have some ideas on this--- if you had to pick your top 3 Christmas books for preschoolers, what would you pick? I've been trying to choose some for my son but I'm a little overwhelmed by all the options. He turned 2 recently, and he's transitioning to favoring picture books over board books. This means the board books I had planned to gift him with this year (mostly ones by Maite Roche-- he loves her illustrations) will no longer work for him. Thanks for your help! So sweet and my toddlers enjoy it very much. Bethlehem by Fiona French is beautiful! I love the vibrant and colorful stained glass style illustrations throughout and the text is short enough to keep the attention of a toddler. 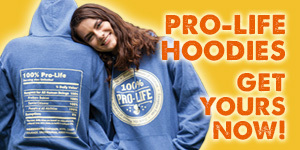 Note: be sure to order the Catholic edition. The Donkey's Dream. Another favorite of mine for all ages. I especially love the symbolism. Anyways, there are so many more, but these are definitely three near the top of my list for toddlers who are outgrowing the board books. I'm looking forward to reading them to Rose and Bud soon! 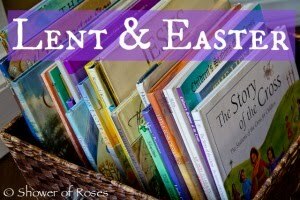 Are you asking for a complete list of all of our books, or just those that we will be reading daily during Advent as a family? Wow, what a wonderful collection! We have some of those books. 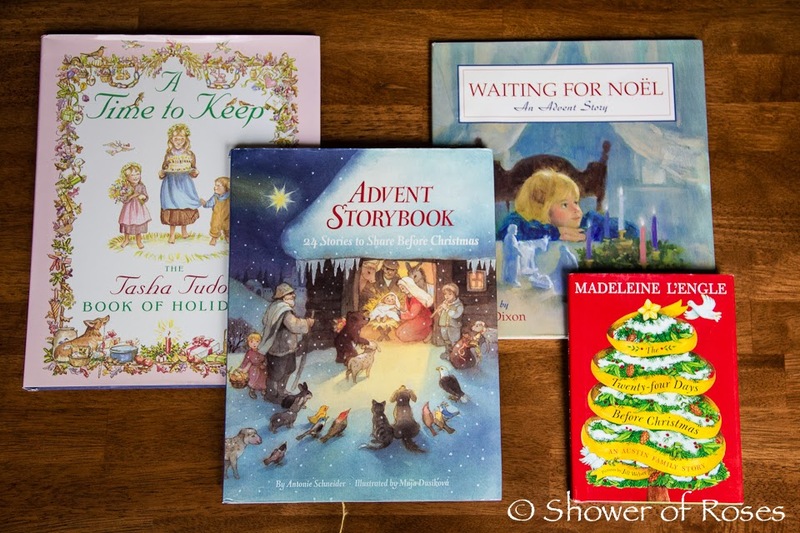 Thanks to you, we started an Advent book basket a few years ago. I love picking new books and the kids love to unwrap. One year, I did not wrap and it wasn't quite as much fun. Thanks so much, Jessica, for this list and the giveaway! Fabulous collection...I love your tradition of wrapping the books! I was pleased to discover that our library system has many of the books you mentioned, so now I have an extensive hold list :) I think this is something that my children will really enjoy this year! Thank you for putting together this post! I forgot to add that one of our favorite books to read during the Christmas season is Gingerbread Baby by Jan Brett. My children really enjoy her illustrations, so much to look at! this post took you a long time to write!! thanks for the list! Happy reading days are here again. I really appreciate everyone's kind comments! Thank you! This is such a wonderful idea and what an amazing collection. Thank you for your wonderful work on this blog! I just out many of your selections on hold at the library. It is a bit early, but they go quickly the first week of December:) We have a good collection, but not as extensive as yours! 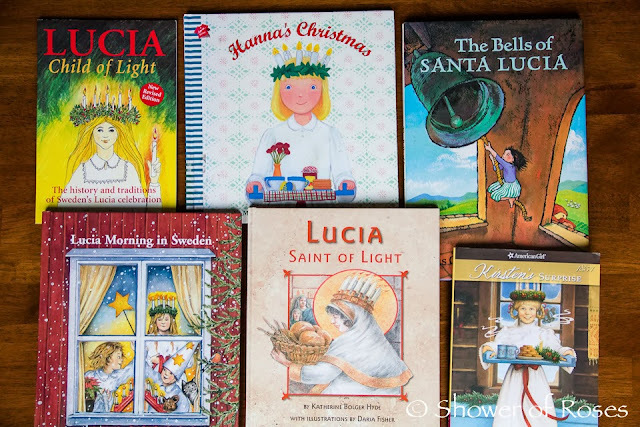 This year I purchased some of the Santa Lucia titles since that is one of our favorite advent traditions. Wonderful collection! We have so many books, but I see several here to add - thank you! Also, I love Cay Gibson, she is such a wonderful resource. 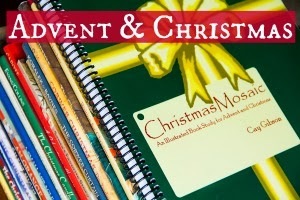 I've been meaning to purchase her book, Christmas Mosiac, and after this I REALLY want to get it! I'm glad that you have been working on this collection for so long...makes me feel better about my little collection. 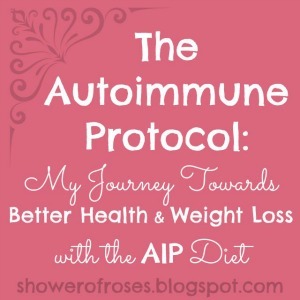 This post is a great resource, thank you so much! Thank you, and yes! Our collection has grown little by little each year! I RARELY pay full price for a book and many of our books have been purchased used in "like new" or "very good" condition, or when on sale. I've also found great books at second hand stores and library sales. What a wonderful post! Thankyou so much for inspiring me to look forward to Christmas on this cold November day, feeling a bit under the weather. One question, the book called "The Little Juggler", is this the inspiration for Tomie de Paola's " Jingle The Christmas Clown"? I haven't read that one, but I believe it is the same story that inspired TdP's The Clown of God. We actually pulled the TdP books from our shelves/baskets this year and I bought "The Little Juggler" as a replacement. I love it. I think my boys are especially going to enjoy it too. So many good books!! We have slowly been building a collection, and our library system has been very useful because they have many of these books that I have looked for in years past. 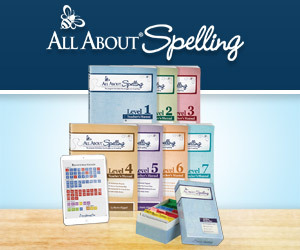 It helps me narrow down which ones to buy: the ones our library system doesn't have at all! Wow, that is an incredible amount of books. For financial reasons we have a much much smaller collection and have stopped buying more now but one of our favourites is The days of Christ's coming by Dorothy L Sayers, picked up for pennies at a jumble sale - beautiful to read aloud. Thank you for this. What a great tradition! 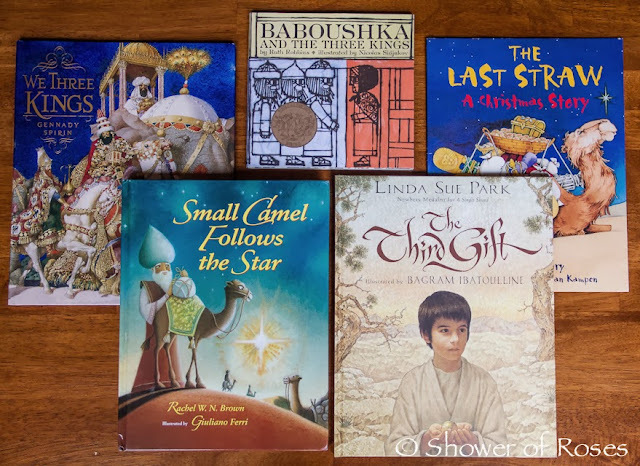 Thank you so much for sharing this booklist and giving us the opportunity to win Christmas Mosaic! It has been on my wish list for some time! St. Nicholas will be giving my daughter a book on his feast day...along with gold coins of course. :) Question: if you could only buy one St. Nicholas book, which one would you buy? I have Bakers Dozen already, thanks to a library book sale. I have been looking at a few others and am torn on which to get, and time is running out! Though it is not exactly about St. Nicholas, The Miracle of St. Nicholas would be my first choice. On the life of St. Nicholas my first choice is actually the DVD from CCC Nicholas: The Boy Who Became Santa, especially for younger children. If you are looking for a story about the life of St. Nicholas my personal favorite is The Real Santa Claus: Legends of St. Nicholas, though this is most appropriate for older children. We also really like The Legend of St. Nicholas by Demi. Your lists and links are so very helpful. Thank you for sharing so much! 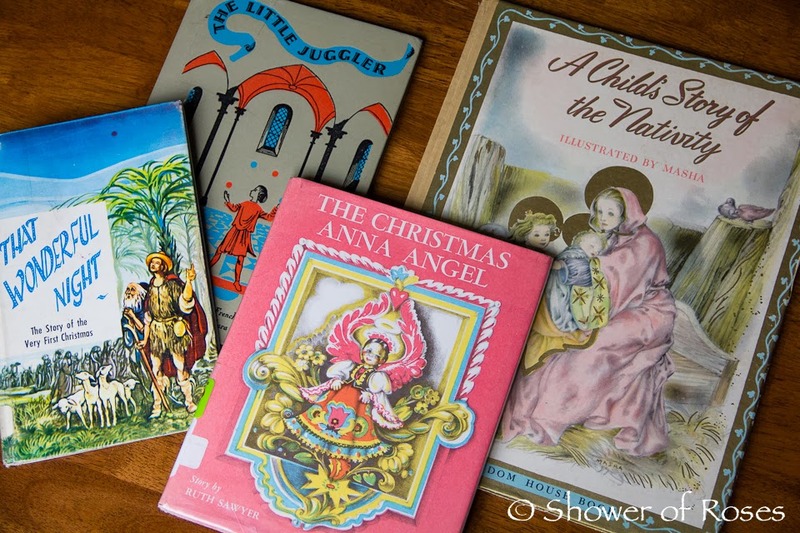 My kids loved Destination: Bethlehem, and I've read similar books for Advent since then. I will try some this year from your lists. Thank you so much for the inspiration! The Lost Little Donkey -- illustrated by the lady who drew the Care Bears. Thanks for sharing your wonderful book list! 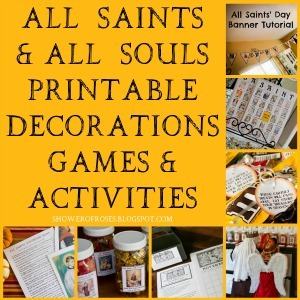 This has been a tremendous help in making my list for the library for Advent and Christmas! I have Catholic Mosaic, and would LOVE Christmas Mosaic!! Thanks for doing this; I was going to sit down tonight to write a list of the books and what day to give them tonight! You did the work for me! :) Also, I tried to buy the purple and pink paper...I was looking for a really pretty dark purple and pink...I finally decided on brown paper wrap and am going bought some purple and pink ribbon for it! Yay! Great idea to use the brown paper with purple and pink ribbons! You can save the ribbons to reuse next year too! Love all the read a louds each and every year! Thank you so much! I have a soft spot for The Littlest Angel. Which reminds me, I don't know that my own children have a copy. Thanks so much for the opportunity! It's so much fun to grow our collection! Thanks for all the great ideas and inspiration. 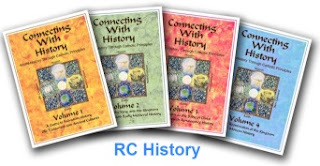 We have used the Catholic Mosaic booklist you posted years ago, but would love to win the full copy to have the activities and study guides. 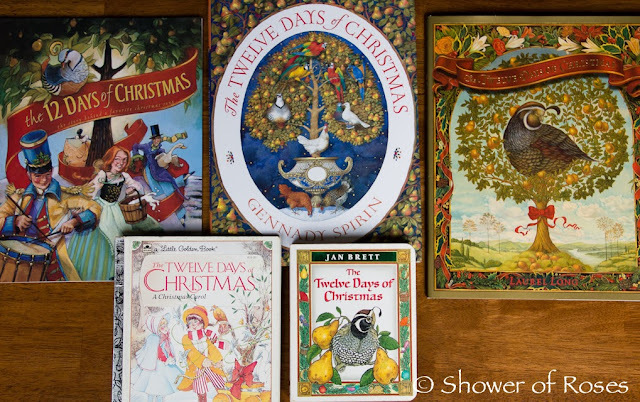 I love the idea of wrapping the books for Advent and the 12 Days of Christmas, but hate to spend the time and money doing it. Instead I bought 3 gifts bags: purple, pink and gold. I put in books for each time period plus a few extra. Then I place tissue paper on top of it. Each day my kids take turns pulling a book out of the bag ---WITHOUT looking!! They love it!! Looks like a great plan for Advent! Thanks for the list. Its so nice to see what others have and get ideas for books to get for our kids. We also sometimes find old forgotten favorites to buy again or for someone else. 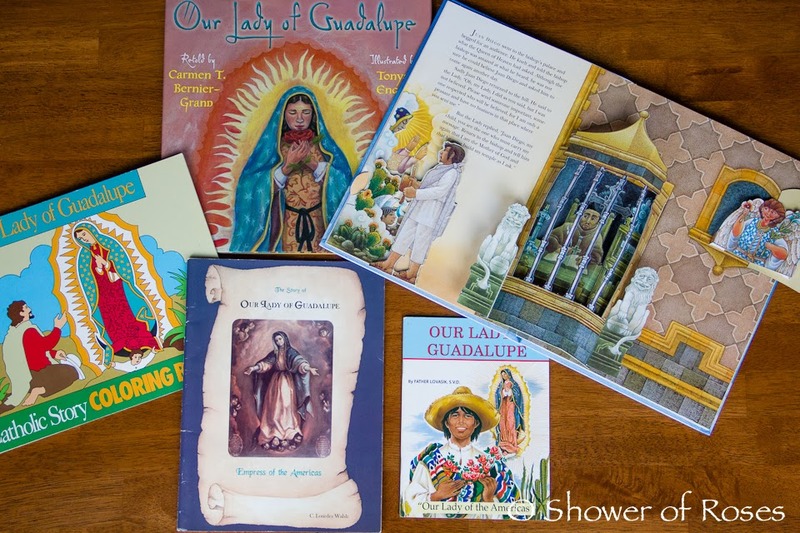 Wow, what a blessing to have so many books to read to your children! I like the idea of celebrating the seasons with books! Christmas Mosaic would be a beautiful addition to any library! 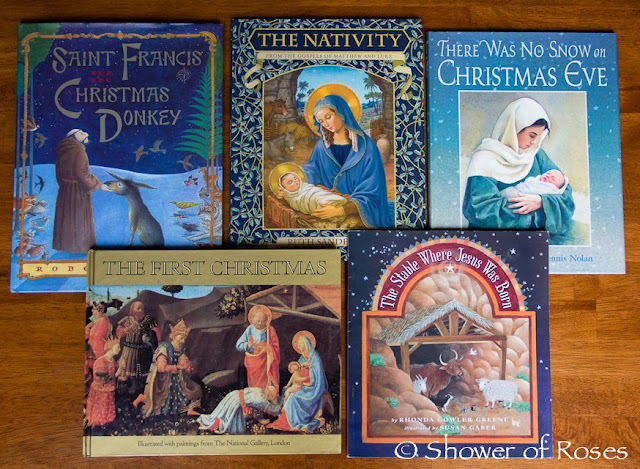 My kid might disagree, but my favorite book is Bethlehem by Fiona French. I LOVE the illustrations. The Gift of the Magi has always been my favorite. 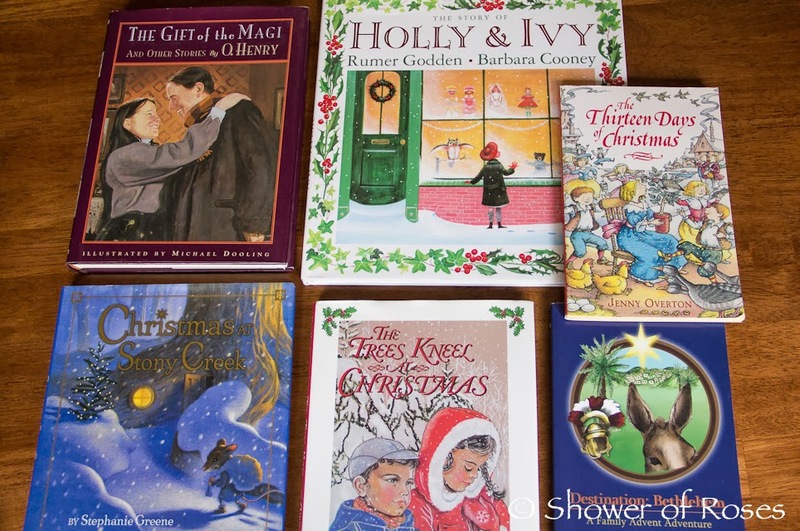 When I was teaching, I always read "A Christmas Memory" to my classes (and it always made me cry) :) and Holly & Ivy. At home, we love "Room for a Little One", and we always memorize "The Night Before Christmas." Thank you for this! And for such an inspiring list of books! I love The Crippled Lamb, but there are so many to love it's really hard to choose just one! The first book that comes to mind is The Legend of the Candy Cane. We read it often throughout the year. Last year, our favorite was "The Little Drummer Boy" by Ezra Jack Keats, but I'm very excited to try some of the books on your amazing list! Your lists are so helpful to me. 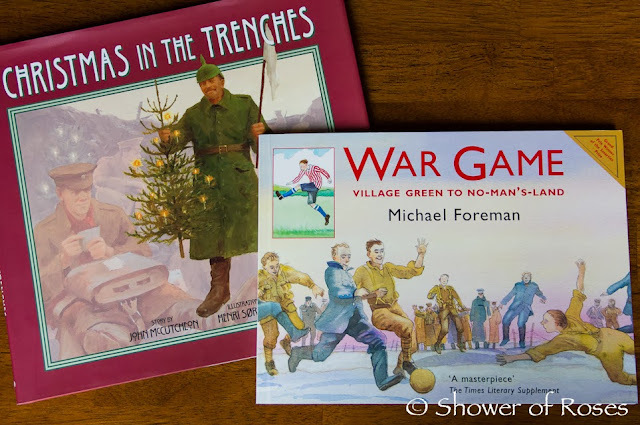 I have used them for the past two years to find books for my kids on Christmas and St. Nicholas day. Thanks for working so hard on them. Thank you for this list. I've ordered a bunch of them from the library using this list. 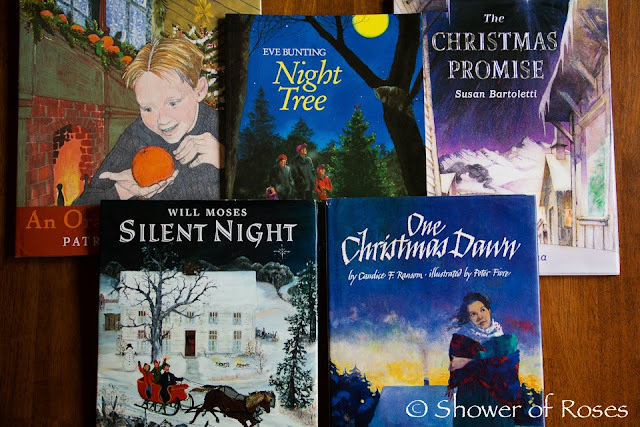 Many of our favorite Advent/Christmas books are on your list. 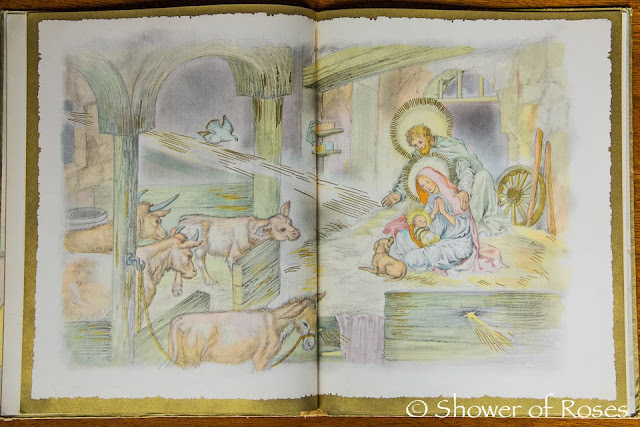 Another favorite of ours is a book illustrated by Susan Jeffers called Silent Night which has a sweet, modest image of Mary breastfeeding baby Jesus on one of the pages. Very tender to imagine. An Orange for Frankie is a top pick of ours. If you don't mind sharing, why did you pull your TdeP books? Thanks so much for your list; it is a tremendous help! You are welcome, I'm glad the list is helpful! To briefly answer your question: Someone brought to my attention his lifestyle choices earlier this year and after looking into it further and discussing it with my husband, combined with the advice from a trusted priest, we've decided not to keep any of the books he has written. Are you planning to do away with the Garden of the Good Shepherd as well? I don't know... I haven't thought it through that far yet. Probably. I've always wanted to create a felt version of The Garden of the Good Shepherd - I actually started years ago - and this might be just the motivation I need to finish the project. The text to go along with it was written by a different author. That sounds like a great project! I'm sure it would turn out lovely and would be something treasured by your family. I don't know if your kids like that sort of craft, but maybe they could even make the felt figures as part of the actual celebration. I always daydream about family projects like that, but rarely pull them off! my blessings so enjoy reading a different christmas picture book everyday of advent, but for a chapter book i will read them christmas carol all together then watch the movie. thanks for lovely ideas and inspirations! blessings. Thank you for your book lists!! 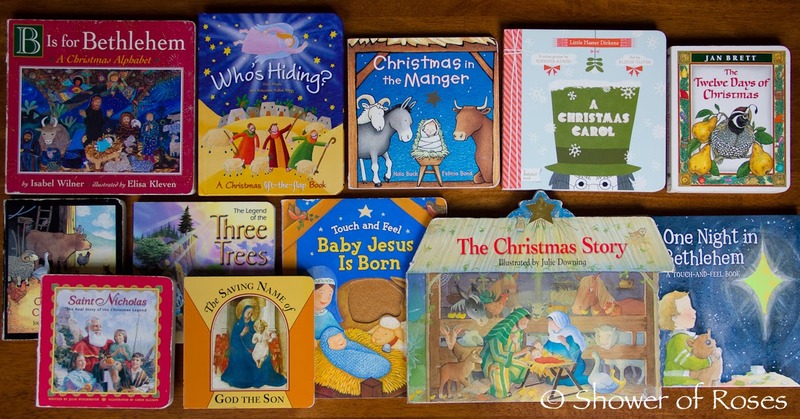 It has helped me tremendously when sopping for Advent/Christmas books for our son. We love The Real Santa Claus. We haven't found a favorite yet, but we always enjoy any version of the Nativity story. We also like reading A Christmas Carol. 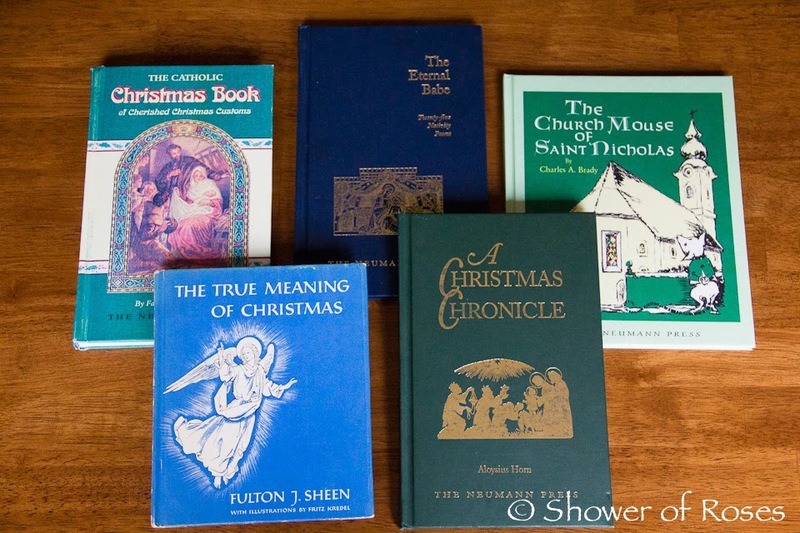 We just started collecting Christmas and Advent books a couple of years ago. Thanks for the lists! I have ordered lots of them through your amazon link! 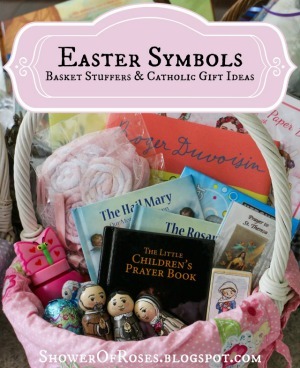 It makes searching for good Catholic books for the kids so easy! Our Advent/Christmas book collection is sparse to say the least.. But last year, we enjoyed Hanna's Christmas a lot. We read it over and over and over :). Great lists! My favorite is The Christmas Miracle of Jonathan Toomey! Thanks so much for these posts! I'm expecting my first around Christmas this year, and I've used your site as the main source of inspiration for building my baby's library. I would LOVE to win to share with my Faith Formation class! I love Pope Emeritus Benedict XVI's Jesus of Nazareth trilogy and the one on the Infancy Narratives is perfect reading for this time of year! Love The Donkey's Dream - a new one for our collection last year! For fun Christmas related books, I also love The Best Christmas Pageant Ever. Thank you for creating such a thorough list! My planning gears are turning, and I'm clickin' away--I had no idea there were so many Advent/Christmas books out there. Once again, you are a treasured resource! I just saw this and am so excited to see so many books we have at home. We are taking December off our "regular" home school schedule and will be soaking in all the beautiful themes and activities in these and many other books. Your blog has been such a blessing in our first year of homeschooling. 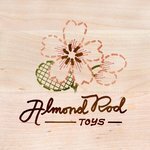 Thank you so much for this post and for the chance at the giveaway. Your book lists and holiday preparation descriptions are such a great resource. One of our family's favorite books for Epiphany is Tomie dePaola's The Legend of Old Befana. The Nativity is my favorite. I also really like the books which illustrate popular hymns like We Three Kings and Wenceslaus. Like you, my mom had quite the collection of Christmas and Advent books that she would pull out for us each year (in large Rubbermaid storage boxes!) 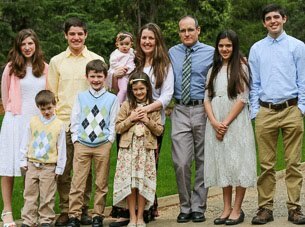 There were seven children in my family. Now that I'm a mother, I can better appreciate the time and sacrifice she put into amassing such a collection. God bless you for your generosity... both with your own children as well in sharing your ideas with us, your blog readers. A Small Miracle is one of our favorites! A Small Miracle is one of my children's favorites too, and especially great if you aren't that fond of reading aloud! ;) It's amazing how the author/illustrator was able to tell such a moving story without one using any words. Just beautiful! These books (especially the chapter books) are wonderful! We love "Shoemaker" Martin. I love "The Christmas Miracle of Jonathan Toomey." I won a basket of wrapped books to open each day of Advent in a silent auction. So excited to see what books are in it! Love your list!! Now to decide on our new books for this year...I better get busy!! My favorite is probably The Gift of the Magi. Have you ever read or heard of "Jotham's Journey." It is actually book 1 in a series of 3. 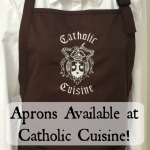 I have seen it recommended in a lot of places, but I'm not sure how "Catholic" it is. It sounds like a historical fiction chapter book and has daily readings through advent. I'm curious of your thoughts...or any other readers??? Thanks again! I've seen that series mentioned all over, but we haven't read them. There are so many great books. One of the many books we like is Max Lucado's The Crippled Lamb. Thank you for your book suggestions. It is always helpful to have some guidance from an experienced Catholic mom. Jessica, I really value your research and opinions on the books you use. Could you tell me why you chose to pull the Tomie dePaola books from your shelves? I, too, would like to be considered for the Christmas Mosaic guide. Thank you so much. I actually responded to another commenter asking the same thing above, but there are so many comments on this post it would have been easy to miss! Anyways, someone brought to my attention his lifestyle choices earlier this year and after looking into it further and discussing it with my husband, combined with the advice from a trusted priest, we've decided not to keep any of the books he has written. Thank you for putting this list together! I hope I win this great book, too! I love so many of the books, but An Orange for Frankie somehow steals my heart! As always, inspired by your planning ahead for Advent! My favorite Christmas book is St. Francis and the Christmas Donkey. The boys love How the Grinch Stole Christmas. I need to get busy pulling together what we have in the house and plan it out for our youngest son. I would love a copy! Thanks for the giveaway. What a wonderful selection! Well, the Truman Capote book was very depressing, but the rest I would be happy to read all year round! Hey Jess! I know there are alot more people out there that are much more worthy to get this wonderful book but I thought I would enter anyway! LOL. Now that we are back in the Church, I really want to have a wonderful collection of good books that support our faith! My favorite would probably be The Christmas Donkey and Angela.. Both of which Maddie received from you and Sean I believe! Have a Blessed Advent! I don't really have a favorite Christmas or Advent Book. Sometimes I print out inspiring stories from the internet and I read those to my kids instead. 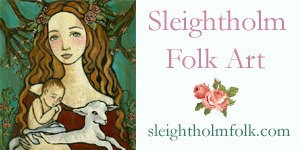 Thank you for a wonderful blog. May God shower many blessings upon you and your family all year 'round. 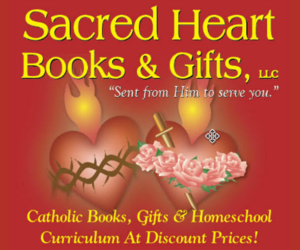 Thanks for the great CATHOLIC book lists! I SO VERY appreciate all the time and effort you put into making these booklists! 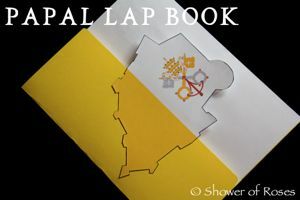 They are so helpful in ordering and purchasing our very own saint and liturgical book collection. 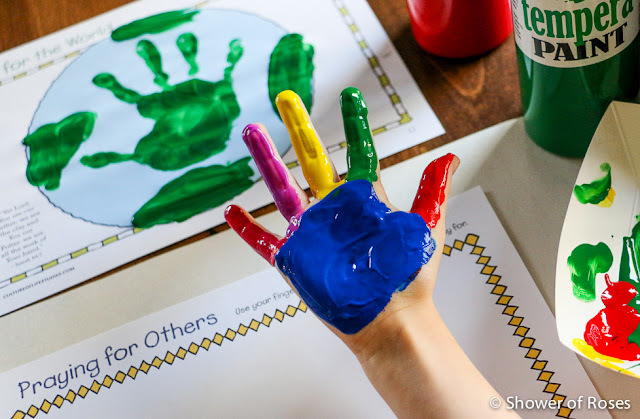 We are just starting our journey of homeschooling and raising our children and really look to you and your blog for inspiration, ideas, and book suggestions. May the Blessed Virgin strengthen you in your journey of motherhood!!! God Bless you and your family! Wow, I am so encouraged and inspired by this list!!! 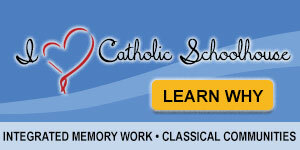 I am a convert to Catholicism where I didn't grow up Catholic and this is my second year homeschooling after pulling my children out of school. It feels like I am having to learn so much about Advent as it is definitely not a liturgical season I grew up with where we are now creating our own family traditions to pass down. Thank you and I can't wait to purchase some of these awesome books!! I am so excited! I love the Christmas Miracle of Jonathan Toomey. Brings a tear every time I read it. Thank you for this fantastic list! Thank you for the book lists. I was able to find quite a few at the library and had them put on hold for me. We also bought a few new ones based on your recommendations. We have so many favorites for Christmas, but one of the best is probably Mortimer's Christmas. My kids really enjoy that one and ask to have it read over and over again. Another favorite is the Berenstain Bears' Christmas Tree. Thanks for the opportunity. Lucy's Christmas by Donald Hall and is one of our favorites! Here is the description: Lucy Wells likes planning ahead. In her quaint New England town the leaves have just begun to change, but Lucy is already thinking of Christmas. She begins to make presents for her family: a pincushion for Mother, a doll for her sister, and a pen-wiper for her best friend. For the whole family, her parents have ordered a new modern range stove. The days grow colder and shorter, the snow grows deeper, and everyone grows more excited. Finally, the day arrives! Lucy and her family travel to the South Danbury Church to exchange gifts, sing carols with the whole town, and perform in the Christmas pageant. Thank you for sharing! Lucy's Christmas is definitely going on our wish list! This is an incredible list and resource! I pinned it before I even know that entered the give-away!! My favorites are Legend of the CAndy CAne and Gift of the Magi. Totally intrigued that there's a Christmas book by Madeline L'Engle! 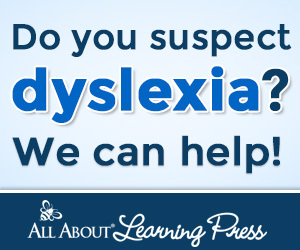 THANK YOU for this resource! My daughter is 2 yo and I'm just starting my Christmas & Advent book collection. I'd asked a friend of mine, and she suggested checking out your blog. Any suggestions on a few just to get us started, if you had to narrow your collection down? 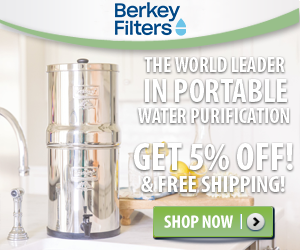 Wow, another great giveaway, I would love to win! I guess if I had to pick a favorite book, this year's would be The Little Drummer Boy, since my two year old son is suddenly obsessed with that song. And I promise, we haven't started the Christmas carols yet in our house! I would be thrilled to win any of these sets, but even if I don't, I appreciate the work you did compiling the books lists! WOW! Than you so much for the wonderful Advent/Christmas book list, AND the opportunity to win! The Donkey's Dream is my absolute favorite. Saw it on your blog a few years ago and just had to have it. Thank you! The list you have compiled is just awesome. Thank you so much! We don't have most of the books listed, which books out of your advent and Christmas lists would you recommend for children 4 and under. Just one book from your advent list and one book from your Christmas list. I'm a little overwhelmed with all your books, so I'd like to start with just one of each from those two categories. God bless! Your book lists are always such a blessing! We love The Donkey's Dream and The Last Straw. Thank you! !